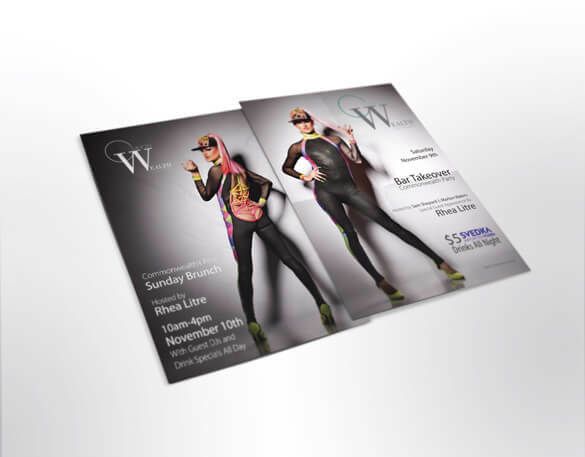 Print collateral is a staple for any business or organization. Business cards, brochures, newsletters, information packets, presentations, product packaging, promotional materials, vinyl graphic art for windows or vehicles, and more. Print collateral represents your business and could be the first impression a consumer has of your organization or product. We find the static, template look of most print design work we see to be boring, dull, and definitely not engaging. That’s where we are different. We want our work to stand out in the crowd. 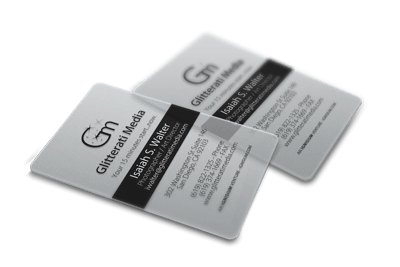 For instance, consider the business cards we did for Glitterati Media (pictured at left). They are printed on clear plastic that has glitter embedded in it. Everyone who is handed one of these cards is impressed, fascinated, and left with a lasting impression. In short, they are memorable. 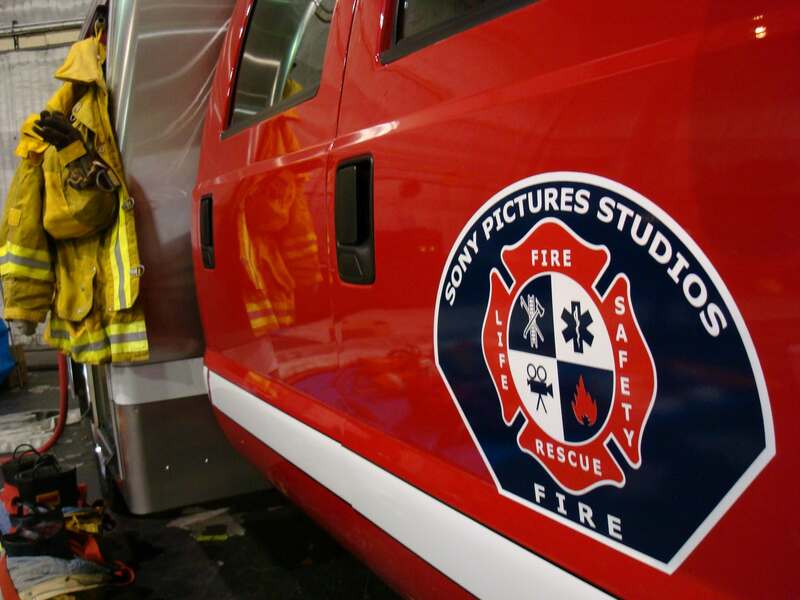 We’ve designed print work for magazine ads, postcard flyers, vehicle decals, posters, banners, business cards, letterhead, t-shirts, embroidery, patches, and stickers, just to name a few. The possibilities are endless with today’s printing and manufacturing processes. We insist on quality and only use vendors to produce our print design work that have proven they are up to our exacting standards. If you want us to take care of it all – from print design to production – we are more than happy to. Or, we can provide you with the final digital file to give to the production vendor of your choice. Contact us today so we can get to work on your print design product, whatever it may be. We will design something beautiful, produce a gorgeous final product and ultimately make your business or organization stand out above the crowd.